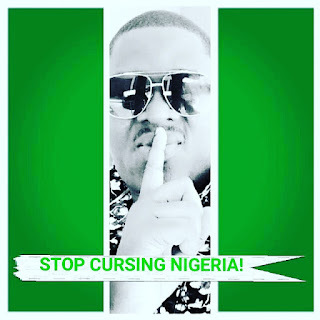 Home News "Please stop "Nigeria is finished " anthem"' - Muyiwa Ademola, as he starts "Operation Stop Cursing Nigeria". "Please stop "Nigeria is finished " anthem"' - Muyiwa Ademola, as he starts "Operation Stop Cursing Nigeria". Muyiwa Ademola, on Saturday, October 1st took to social media, discouraging Nigerians from creating bad omen for the country rather, bless it. He believes the more the good words from Nigerians the better it will be. What do you do to a 56 year old sick man? Do you mock him, scold him, discard him off or curse him? If an average American keep saying GOD BLESS the already BLESSED AMERICA at the slightest opportunity, why can't we make it a habit to emulate that? Imagine a chorus of GOD BLESS NIGERIA from like 100 million out of over 170 million NIGERIANS now and then! The Heavens would be aware we mean business. Please stop "Nigeria is finished " anthem. There is power in ur tongue! HAPPY INDEPENDENCE CELEBRATION.